A must have for the summer! 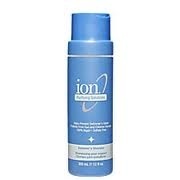 Removes sea salt and chlorine from my hair so I'm covered whether I'm at the pool or the beach. Cleans hair without stripping it, and leaves my hair soft and smelling lovely. I always pack the shampoo, conditioner and leave-in conditioning spray for a day at the pool, beach or waterpark. When I use all 3 my hair airdries with that classy 'beachy' look and texture; an easy way to get good-looking hair while enjoying the water!